We don’t do crowds. 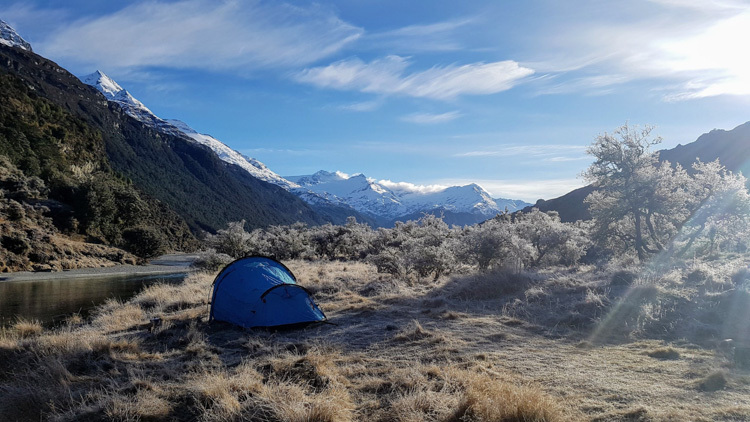 Our small groups means that we can enjoy the remote and peaceful nature of New Zealand’s back country, far away from throngs of other people. 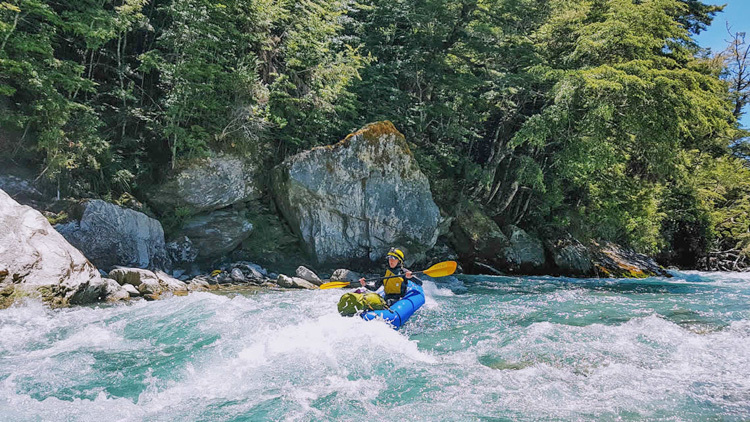 On our full day trips you can chose between our blissed out License To Chill trip on the Rees River or our more challenging Aspiring Packrafter. We also run more immersive overnight trips to really get away from it all and our most adventurous multiday trips. Departing from Queenstown, we drive along Lake Wakatipu towards Glenorchy before leaving civilisation behind us and disappearing into the Rees Valley. At the end of a dirt road, we’ll spend some time getting prepared before starting our walk. The hike in in stunning. 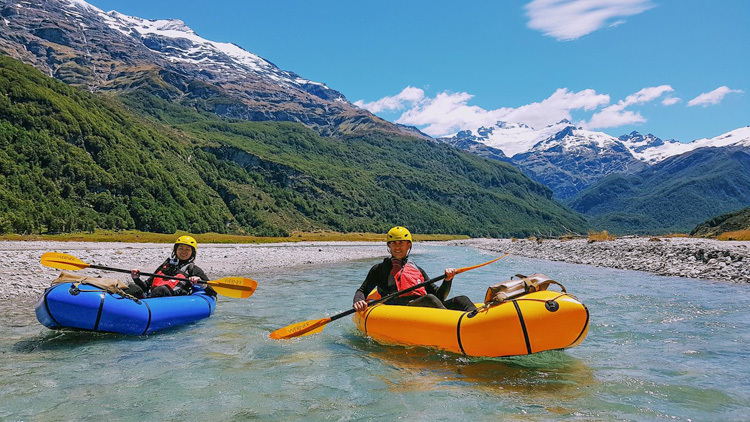 Hanging glaciers, towering mountains and a river that flows through open grass lands. This is an amazing wilderness area, known for it’s whitetail deer and the back drop to many Hollywood movies. 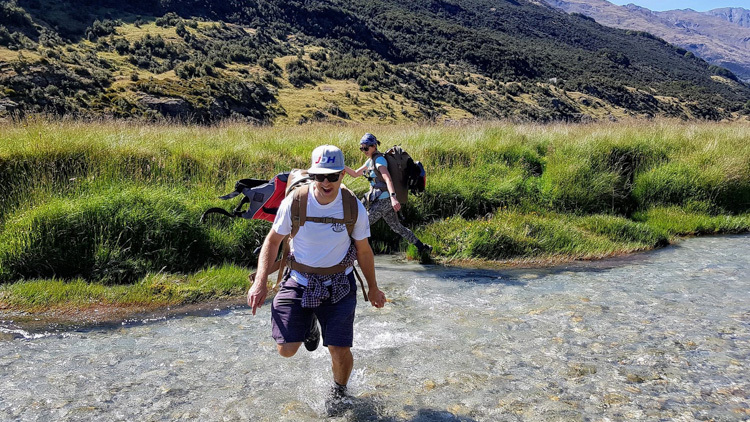 It’s not unusual for us not to see any other people in the valley as we wade through the river and amble along the track towards our lunch spot. The hike is relaxed and easy, without steep hills and should take between an hour and half to two hours to cover the 8-9km. We’ll have a heart feed sitting opposite the impressive Lennox falls before being introduced to our pakcrafts. Your guide will show you how to inflate them (not with lung power as many people imagine!) before giving you a full briefing and showing you how to safely navigate the river….then we’re away! 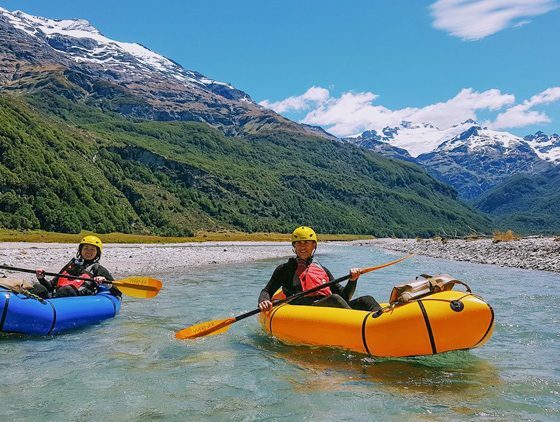 Paddling back along the river gives you a new perspective on the valley and turns “out and back” trip into a circular route. 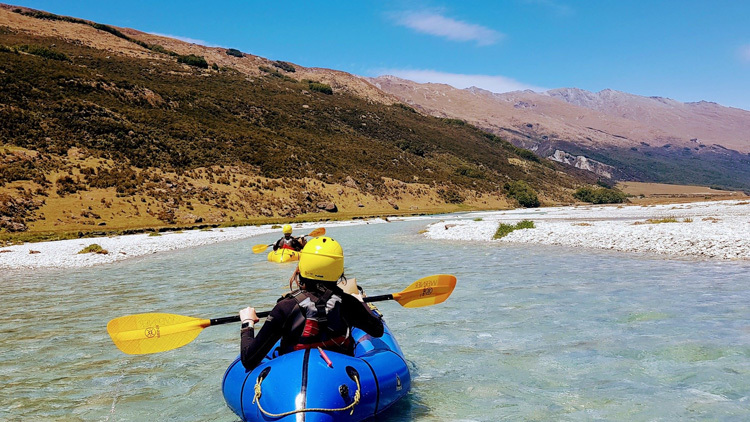 The Rees river itself is a super mellow, braided river that you can either float along blissfully on or seek out the small waves and faster flows of the occasional small rapids. Eventually, all good things must come to an end and we’ll have to take off the river. 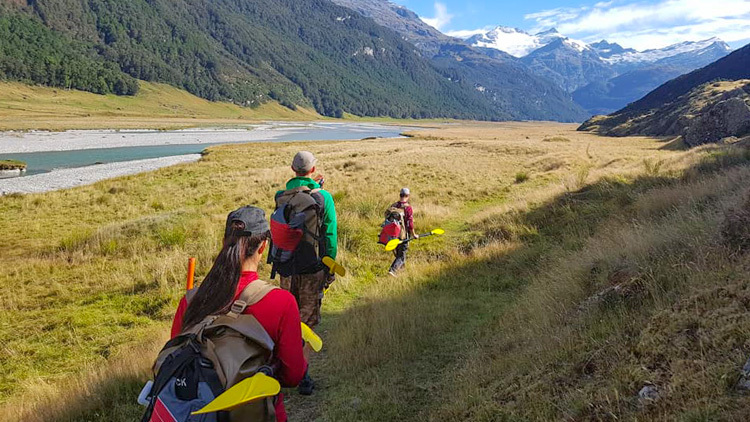 Your guide will show you how to deflate and store your boats back into your backpacks before the short walk back to the car park where we started. 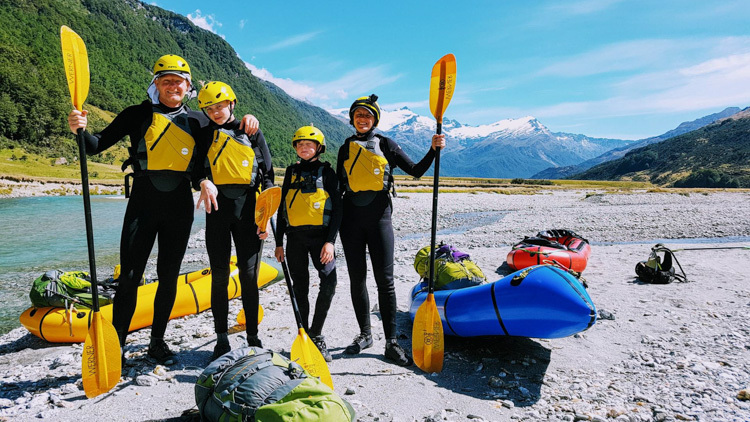 For many of our guests, this is not only the best thing they’ve experienced in the area, but the highlight of their entire New Zealand experience! 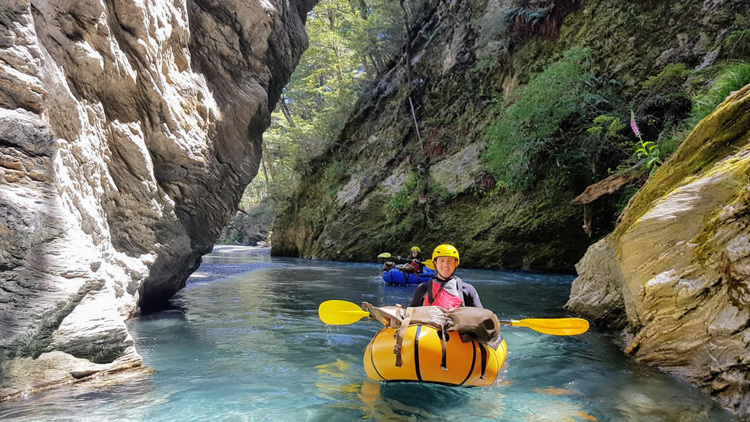 This is the ultimate day trip adventure and the most exciting guided packrafting day trip in NZ. We walk in flanked by the towering peaks of the UNESCO World Heritage Site Mt Aprising National Park. Then after a well earned lunch we ramp thing up a notch and take to the river. 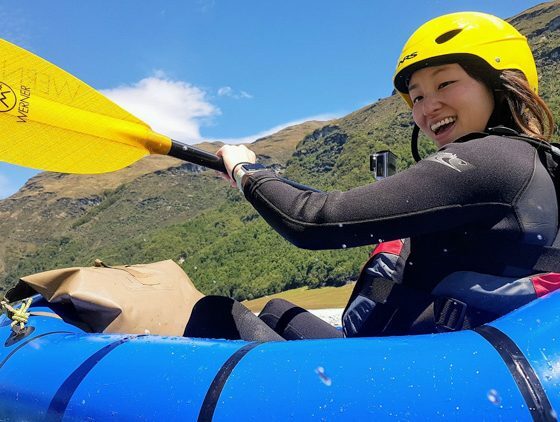 The Matukituki rive is still beginner friendly but caters for those looking for a bit more of a challenge. 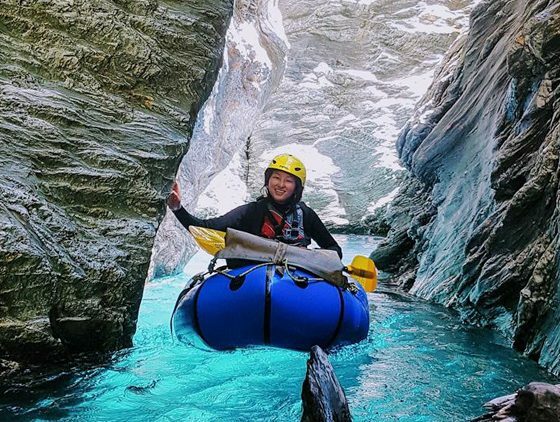 Punctuated by fun and bouncy grade II rapids with idyllic floating sections in between, you’ll spend the afternoon flitting between blissed out relaxation and grinning your way down the rapids. 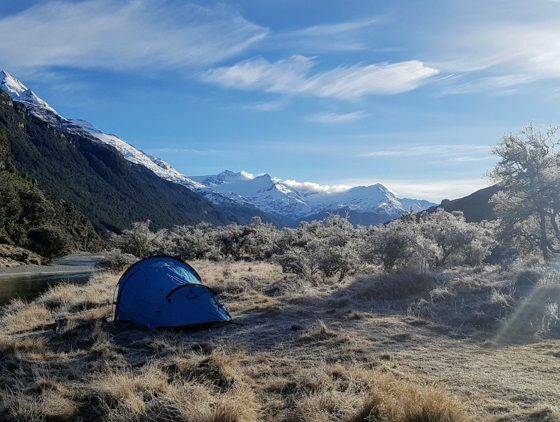 Your day starts in Queenstown where your guide will meet you and drive you over towards Wanaka and the start of our hike. 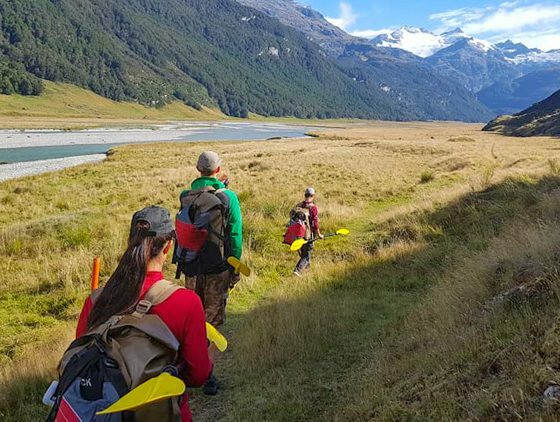 We’ll gently make our way up the river towards our lunch spot near the Mt Aspiring Hut. 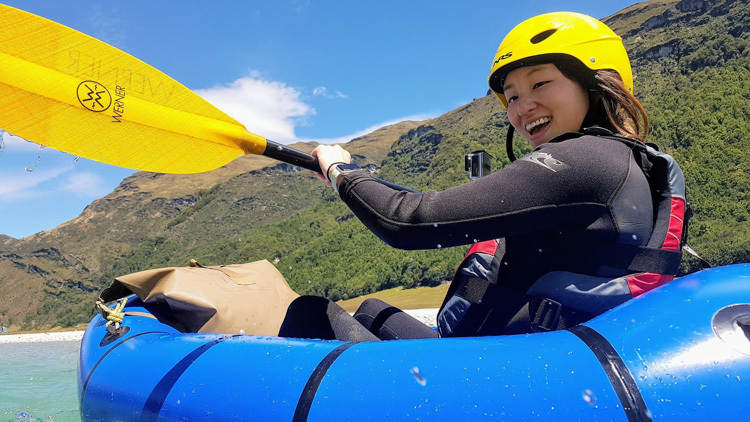 After lunch your guide will give you a full briefing and teach you all the skills you’ll need to successfully take on the rapids…which start almost immediately! 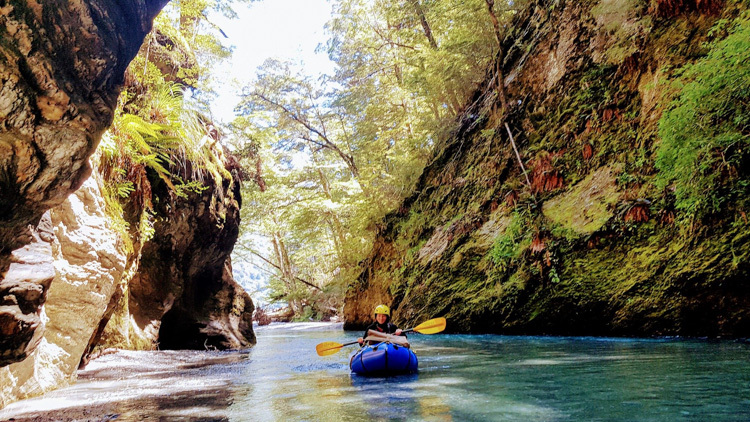 Your guide will show you the way but you have the freedom to make your own way downstream, bouncing through the little rapids and grinning at walkers as you pass by. We finish our paddle a few minutes walk from where we parked up. You’re guide will return you to town, tired but satisfied after a rewarding day out in the wild. This is what days off were invented for. 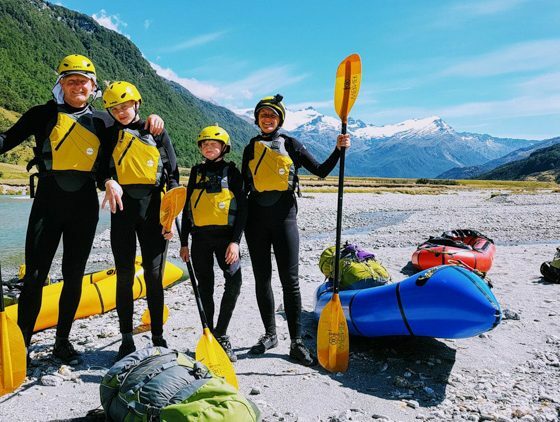 After meeting your guide in Queenstown, you will be run through a full plan for your trip to ensure everyone is well prepared for your adventure before driving off to the start of the trail. 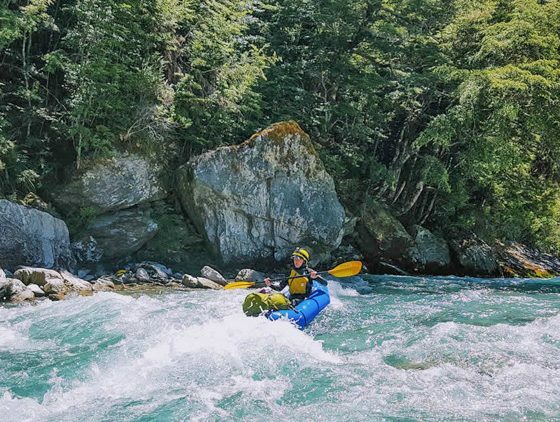 Your guide will then give you the last bit of packrafting equipment you need and help you pack it away before you start your hike. You’ll cover about 14km on gentle terrain with very hills and take a lunch stop to break up the hike. Shortly after lunch you’ll reach the final destination for the day and set camp. Then we take to the river. This afternoon on the river is not as much about covering huge distances as it is getting used to the boats and how to inflate them etc. After working up a bit of an appetite, we’ll return to camp for dinner. There’s deliberately a bit of “down time” at camp. 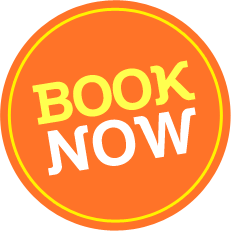 This time is your own, you can thumb through your book, stretch out on a yoga mate, take some incredible photos, or simply chew the fat with your guide. You’ll sleep well in your tent that evening, tired but satisfied. 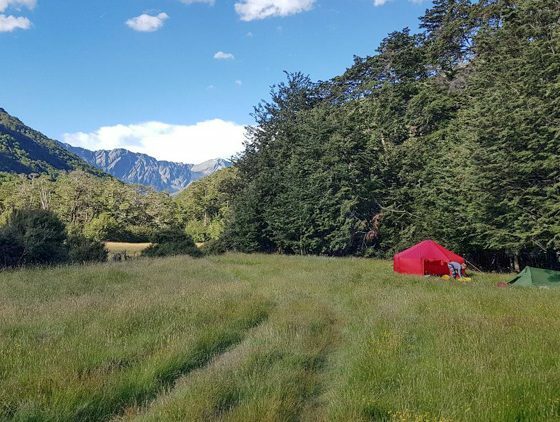 This is the perfect first time packrafting overnight trip. It can be as mellow or as exciting as you want it to be with only small groups allowing your guide to Taylor your experience to your needs. 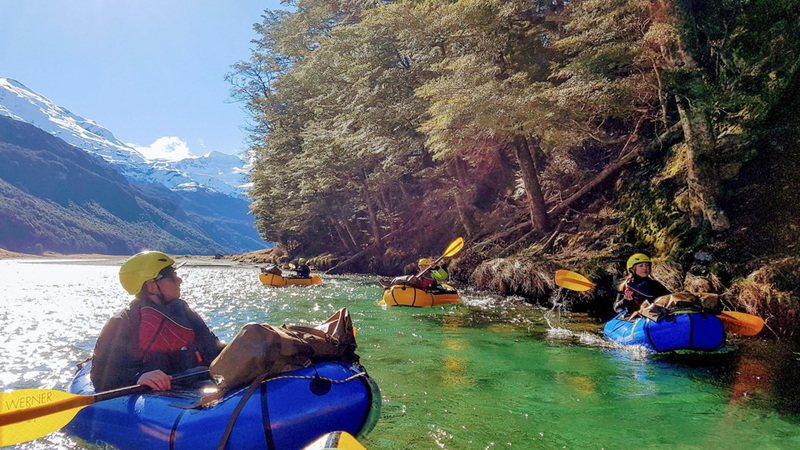 If your short on time but want to try a mini packrafting adventure or are looking for a camping trip with a difference, then this is for you. 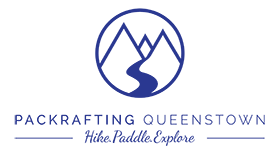 Your guide will give you expert tuition every step of the way and will take care of all your food. 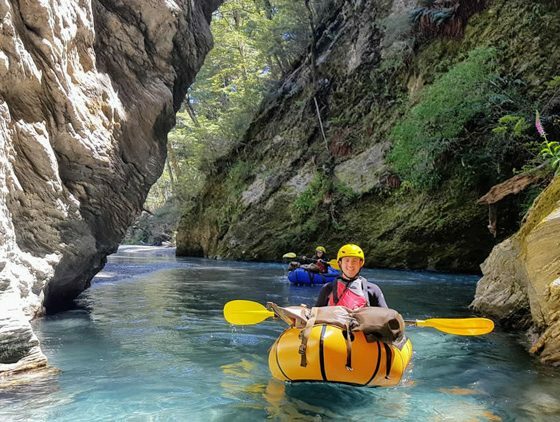 This trip is designed to be as easy as it can be to undertake a self supported packrafting adventure. 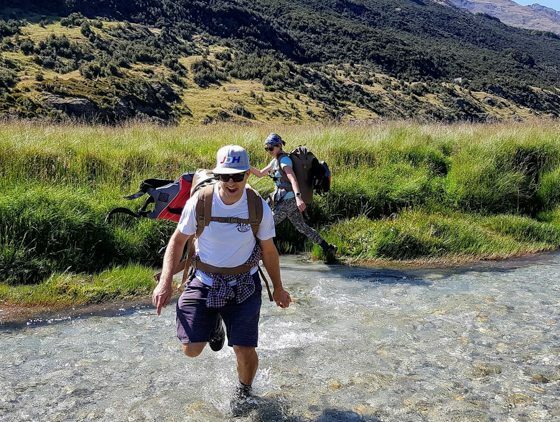 Pack are as light as they can be, the hiking is flat and we have plenty of time to reach camp, the paddling is downstream and we endeavour to look after every detail and creature comfort we can. This is definitely our most challenging trip, but by the same measure, it is our most rewarding. We’re incredibly lucky to be able up unplug and disappear into the beautiful Rees Valley. Only an hour or so from the bustling Queenstown but it feels like a different world. 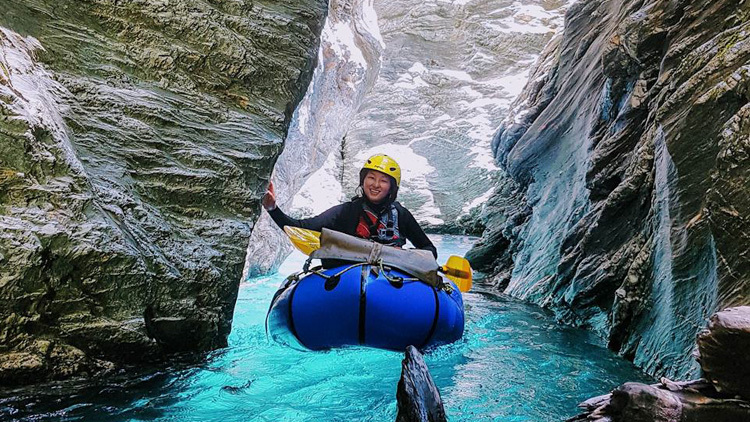 On this expedition we’ll use a variety of modes of transport, camp out under the stars and tackle some fun and bouncy whitewater rapids. 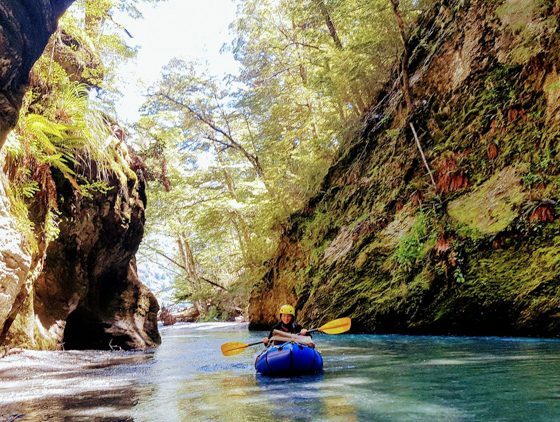 It’s the perfect blend of relaxation and adventure. Sweet dreams are made of these! 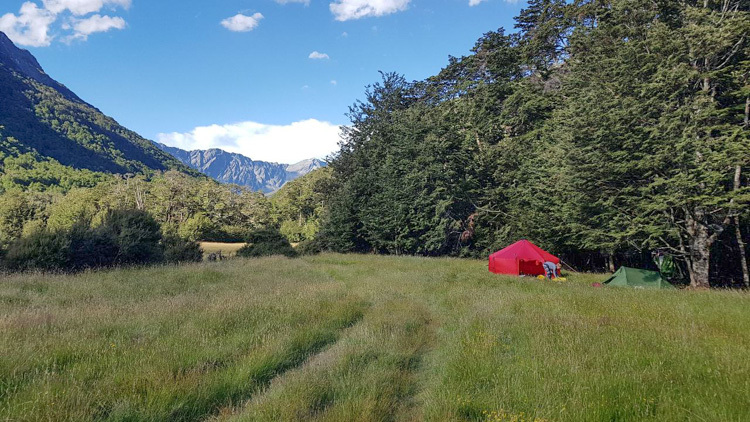 Breakfast will be lovingly prepared by your guide before we break camp and take to the river! 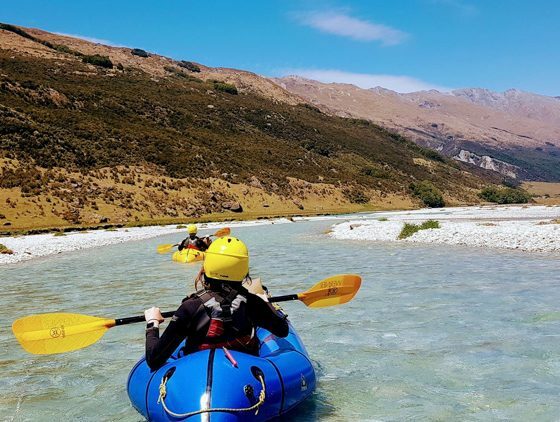 Most of your activities today will involve blissfully floating along the river, drinking in your gorgeous surroundings or seeking out the little rapids and wave to play in. We’ll stop for one more alfresco lunch before taking to the water for the second time. On the menu for the afternoon is a 7km section of Grade II whitewater and a mountain bike back towards our camp spot. Our accomodation tonight is a privately owned backcountry hut, complete with a fire to warm your cockles.